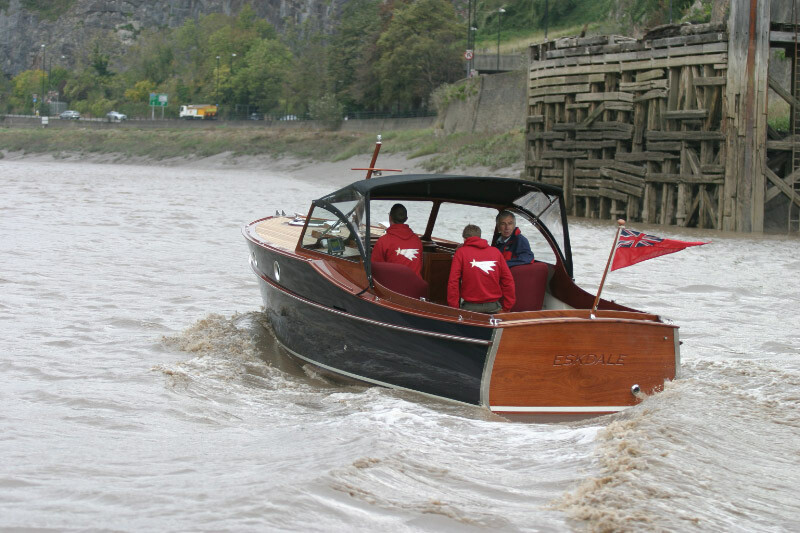 This is Eskdale – the first example of a strip-built Bristol 27 motor cruiser built by Win Cnoops and colleagues at Star Yachts, and designed by Andrew Wolstenholme. 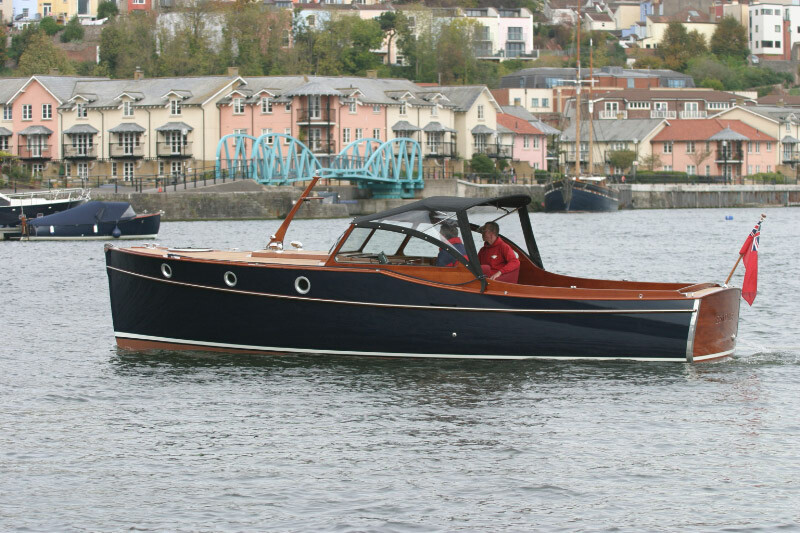 It has obviously been drawn and built with the intention of evoking a bygone age, but I think it’s a stylishly retro craft in any language. 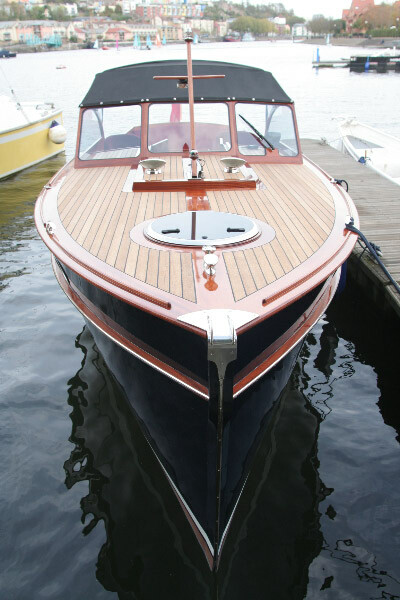 As built she has port and starboard bunks, one of which converts to a double, lockers, a galley and separate heads, a small locker, aft of these is a small galley on one side, and a hanging locker on the other. 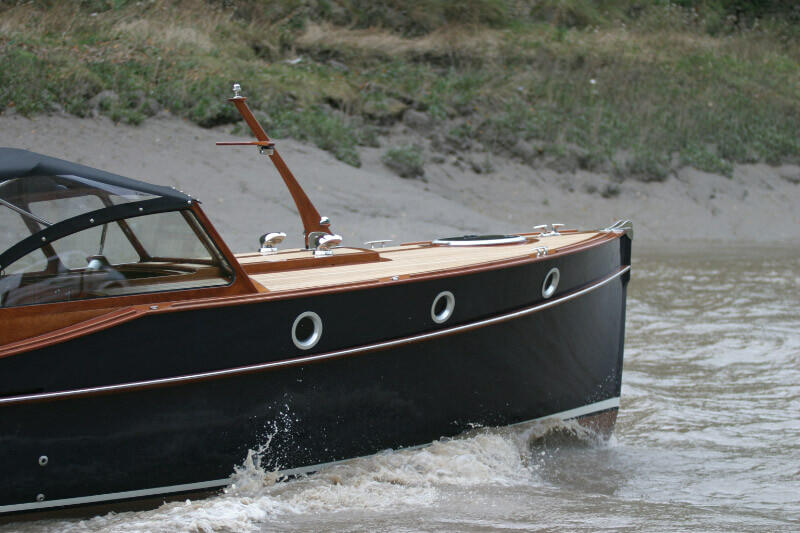 Win is offering a variety of options for future boats, including a choice of 50hp engine offering a maximum of 12 knots and a 38hp offering 10 knots. 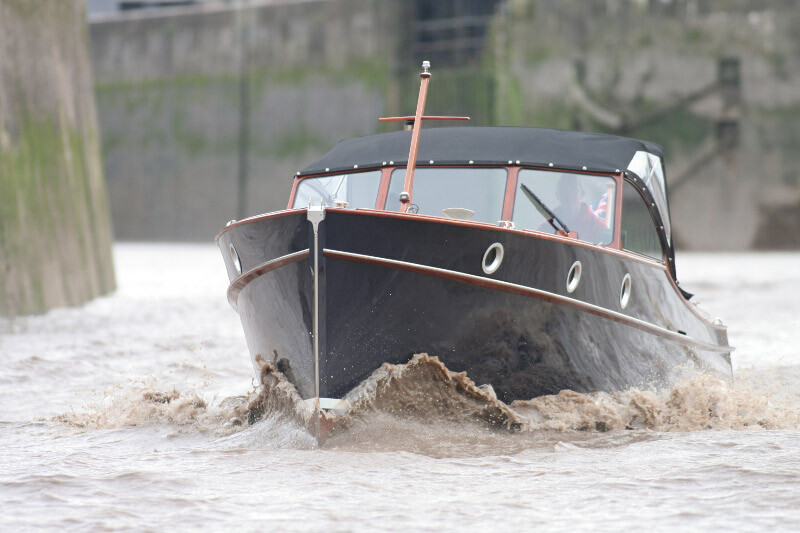 My great pal Jim Van Den Bos recently took a trip to Bristol with his son, and took time out to visit one of the city’s most important historical attractions, and has kindly written us a report. Thanks Jim! 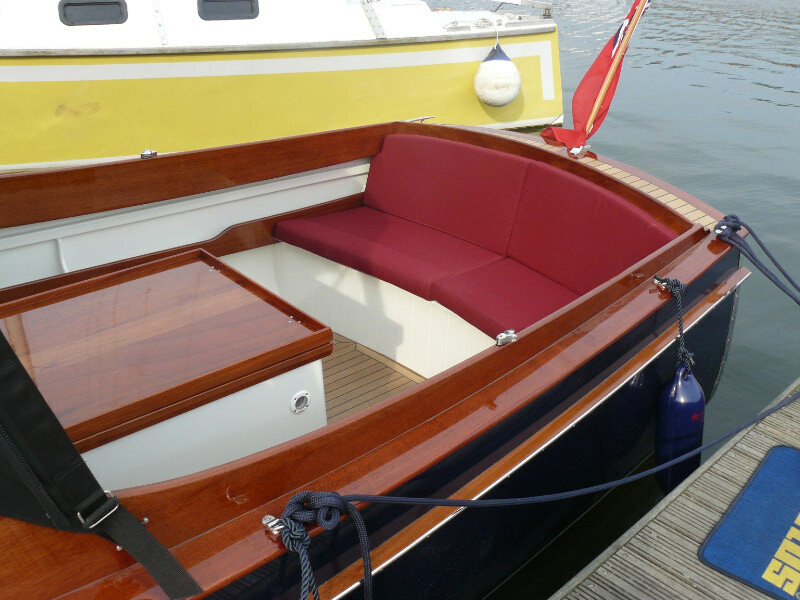 ‘One of the joys of having an outboard instead of an inboard motor on a sailing boat is the ability to lift the propeller clear of the water when underway, thus reducing drag… but what about devices fitted to inboard motors to do the same thing? 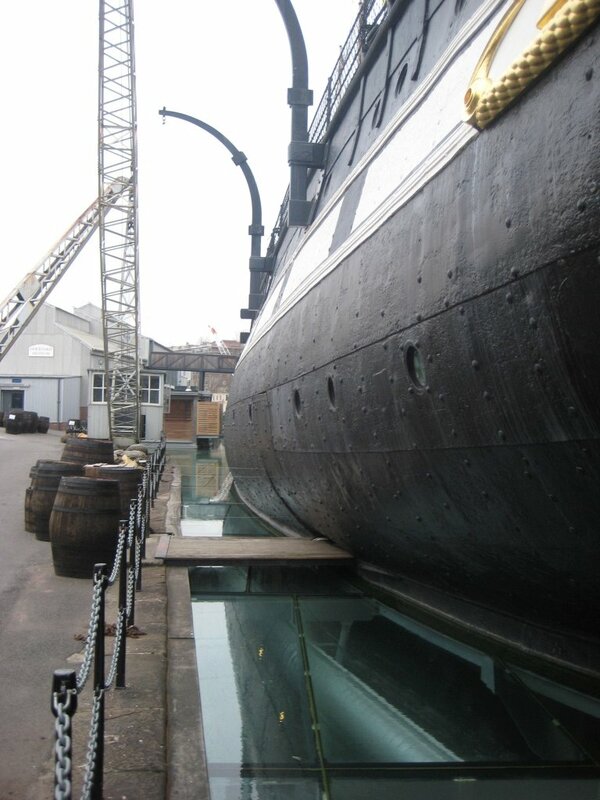 ‘Surprisingly, the first ever big ship fitted with a screw propeller could also do just that: take a bow SS Great Britain. ‘She was also the first ocean-going ship to have an iron hull and, when launched in 1843, was the largest vessel afloat. So large, projects leader and engineer Mr Isambard Kingdom Brunel, that you had to demolish the dry dock walls to get her out. Ooops! ‘On a visit to the excellent SS Great Britain Museum at Bristol Harbour, the visitor begins to realise that this wonderful ship is a monument to innovation as much as invention. 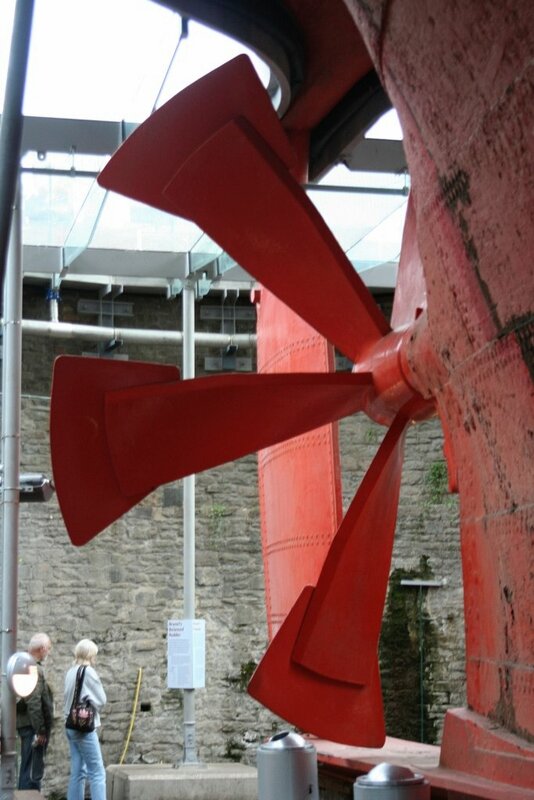 ‘Although she was originally conceived as a paddle steamer, IKB hastily changed the design in 1840 to accommodate a screw propeller after seeing the success of the screw on another ship, the Archimedes, when it visited Bristol. ‘The original concept of the SS Great Britain was that she should be a sail-assisted steam ship large enough to carry passengers to New York, along with the coal necessary to steam them there. Her six masts were configured by Thomas Guppy to use the extra assistance of the wind when possible, but by 1852, more efficient steam engined ships were plying the Atlantic Route, and her new owners Gibbs Bright & Co, set about reducing the original six masts to four, and adding larger square-rigged sails for a new passenger route down to Australia. ‘She couldn’t carry enough coal to steam her all the way to Australia, but the steam-powered screw could give her the edge when the wind wasn’t blowing or in the wrong direction – so now instead of being a sail-assisted steamer she became a steam-assisted sailing clipper. In line with her new purpose, in 1857 a huge lifting frame, the height of the hull, was added to enable the propeller to be lifted inboard, so that there was no drag as the canvas aloft carried her along. 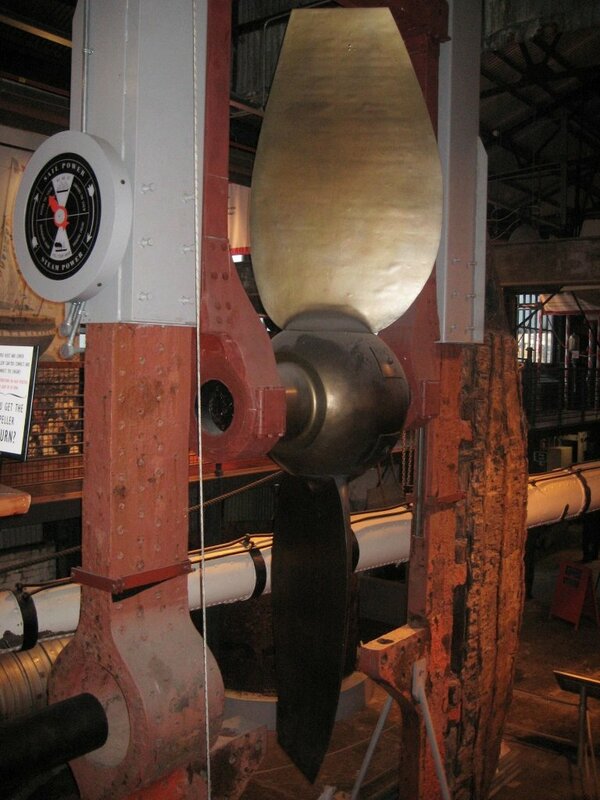 ‘Inside the SS Great Britain Museum at Bristol, there’s a life-size winch-powered model that enables the visitor to stow the propeller inside the hull. ‘After many years on the England-Australia Route, carrying among many others the first All-England Cricket Team to tour the Antipodes, SS Great Britain’s remit changed again. The engine was completely removed to make more room for cargo, and she became a windjammer, with three extended masts, sailing from Wales to San Francisco and back. ‘The secret of her adaptability has to be her iron hull, designed by Thomas Patterson. But the greatest test for the hull was yet to come: badly damaged off Cape Horn in 1886, she was then anchored off the Falkland Islands and began a new life as a floating warehouse, which continued for the next 47 years. 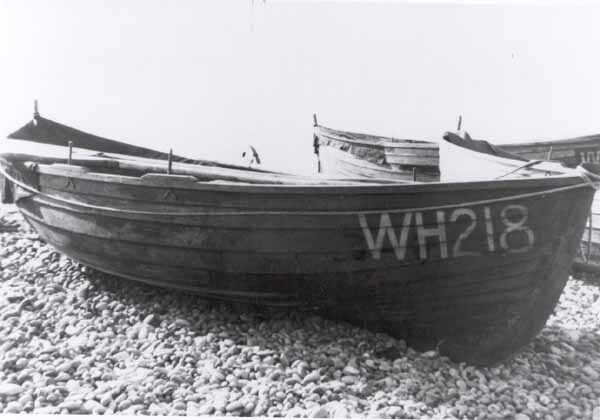 ‘When she became unsafe to use, she was taken out and beached in Sparrow Cove, and left to the mercy of the waves. ‘Amazingly, however, the ship continued to survive – her iron plates were even scavenged to repair the HMS Exeter after the naval cruiser was damaged in the Battle of the River Plate during World War II. 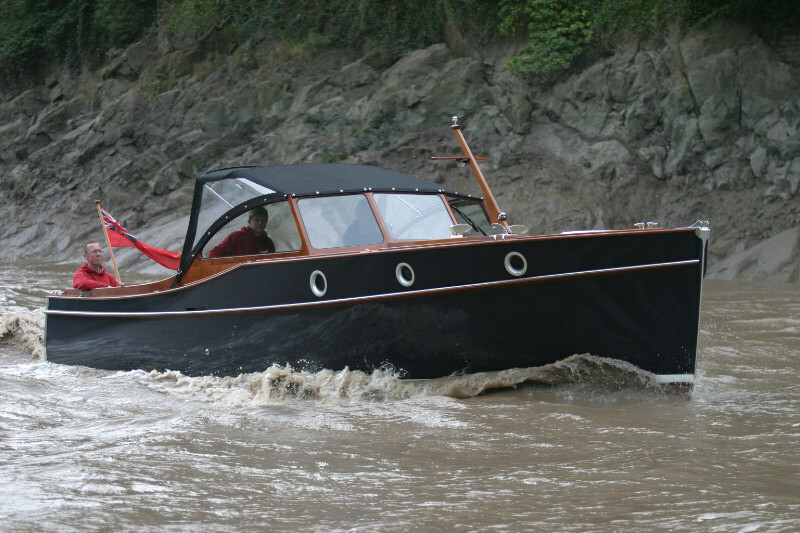 Then in 1969 Ewan Corlett began an epic salvage operation that saw the rusted but unbroken hull brought back halfway around the world to Bristol and restored to her former glory in the dry dock where the SS Great Britain was originally built.